When CEO Mike Ward began introducing integrated systems 30 years ago, he quickly recognized the development of ERP systems as a significant step forward in the IT industry. Having honed his knowledge and skills in this area, Mike established a career leading and chairing various businesses and organizations. With an incredible amount and variety of experience over 40+ years, Mike has earned a reputation as “a serial entrepreneur with a keen business brain”. When Mike isn’t busy educating decision makers about the dangers of not controlling and managing access to core corporate data, he can be found cheering on Leicester City FC, the Denver Broncos, and the Colorado Rapids. CTO and VP of Technology Brian Stanz is passionate about solving complex business problems and the creation of industry transforming products. 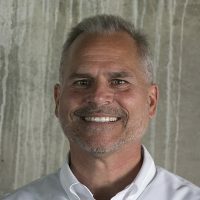 Brian boasts an extensive 24+ years of direct experience across complete product development roles ranging from Research to Strategy to Development to Quality to Performance testing. His ability to strategize and deliver differentiated solutions makes him a key player in the growth and future of Q Software. Outside of the office, Brian can be found watching his hometown Philadelphia Eagles, attending his children’s musical and theatrical performances, or crafting a family-favourite in the kitchen. Mike has a diverse background with over 20 years of industry experience in mid-market and Fortune 500 firms. He served in various manufacturing, engineering, supply chain, sales & marketing roles before moving to the ERP consulting space. For the past 16 years, Mike has led and been a part of sales and marketing teams delivering technology solutions to solve business issues. Mike is a fan of a wide variety of music and sports. He particularly enjoys outdoor activities such as hiking, camping, and rafting; as do his wife, adult children, and their families. Stephen has over 14 years of experience working with Senior Executives and Technical Experts to determine the most suitable Governance, Risk and Compliance (GRC) solutions for their businesses. He has worked across most vertical markets around the globe with their differing compliance requirements. Stephen educates on a wide range of topics as they pertain to security and compliance, but he particularly speaks on best practice approaches to GRC considerations relating to cloud adoption. He has a keen interest in photography and combines this with his love for equestrian eventing. He is married with three children ranging from 9 to 25 and enjoys the odd weekend watching his favourite team, Arsenal FC. Andi runs the UK office and is responsible for all aspects of finance for the company internationally. She began her career as an Operational Manager in retail, then moved to a small software house as Accounts/Office Manager before joining Q Software in 2003. In 2009, Andi qualified as a MAAT (Association of Accounting Technicians) and progressed to become a Fellow member in 2013. When not working, she is often out and about walking her dogs and looking after her various pets. She has a daughter who is studying American History at university.